Monica in 2009; the firm also maintained offices in New York City and on Sand Hill Road in Menlo Park, California. Upon the firm’s acquisition by CIBC in January 2018, Mr. McQueen was appointed to lead the bank’s expanded Innovation Banking initiative. Prior to its acquisition, Wellington was one of Canada’s largest and most active institutionally-backed venture funds, leading over $800 million of transactions. In 2009, Profit Magazine named the firm the 17th fastest growing company in Canada; its 2nd consecutive year on the list. In 2016, U.K.-based Preqin ranked Wellington as one of the “most consistent top performing managers” of the 140 different private debt funds tracked globally. He was a Managing Director and Head of Technology Investment Banking of a predecessor firm of investment dealer Macquarie Capital Markets from January 2000 until December 2004, when he assumed the Wellington role full-time. Prior to 2000, he advised on over $25 billion in transactions as a member of the BMO Nesbitt Burns M&A group (1996-2000). In advance of that internal transition, he held various positions with Bank of Montreal (1993-96). From 1991-93, he was an Executive Assistant and advisor in the Office of the Prime Minister of Canada and served as a Special Assistant to two Cabinet Ministers (1988-91). Granted a Bachelor of Arts (Honours) by The University of Western Ontario (1988). In 2007 and again in 2010, he was appointed by the Canadian government via an Order-in-Council to the Board of Directors of the Toronto Port Authority; he was elected Chairman of the Board in March 2008. The TPA manages the transportation, shipping, recreational boating and marina activity in and around Toronto’s Port, and owns and operates the Billy Bishop Toronto City Airport – Canada’s 9th busiest airport. Mr. McQueen initiated and led the process that resulted in the 2012 construction of an underwater pedestrian tunnel linking the airport to the mainland via a successful Public-Private-Partnership procurement process. The tunnel project had been on the drawing board since 1935. Following the opening of the tunnel, he stepped down from the Board in August 2015.
important infrastructure project. The WDBA will also manage the concession agreement, and set and collect tolls. Windsor-Detroit is Canada's busiest commercial trade corridor, with >US$100 billion of two-way surface trade according to 2013 statistics. During his time as Chairman, the WDBA grew from a staff of one individual to ~50, launched the PPP procurement process, and began construction of the Canadian Point-of-Entry. Following the arrival of the new federal government in November 2015, he voluntarily resigned his position to allow the incoming Minister to appoint “his own person” for this key role. 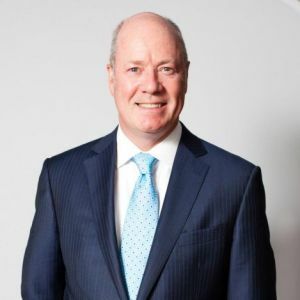 At the present time he serves as a Director of Algoma Central Corporation (ALC:TSX) and is a member of the Governing Council of Sunnybrook Health Sciences Centre, one of Canada’s largest hospitals. He is also Deputy Chair (Student Awards) for the $750 million Campaign for Western. In 2012, upon the recommendation of the Commander of the Royal Canadian Navy, he was appointed as the Honourary Captain of the RCN by the Minister of National Defence. He is a former Governor of Western University, and a former director of a variety of public and private companies. He is the past Co-Chair of the 2013 Toronto Garrison Ball, supporting local military charities, as well as the past Co-Chair of the 2013 Art Hop (for the third consecutive year), the charitable fundraiser supporting the Canadian Art Foundation. Past charity and community Directorships include ProAction – Cops and Kids (2000-06) and The Albany Club of Toronto. In 2012, the Ted Rogers Leadership Centre at Ryerson University included him in its “Portraits in Leadership” series featured in Canadian Business Magazine. In 2013, he was presented with Queen Elizabeth II’s Diamond Jubilee Medal in recognition of his service to the community. Mr. McQueen lives in Toronto with his wife and two children.